New York, NEW YORK--Time Inc., the media company behind Time, Sports Illustrated, People and other notable publications is considering a move from the iconic Time & Life Building in Midtown to Lower Manhattan, three anonymous sources informed Bloomberg Jan. 31. Lower Manhattan often offers cheaper rent than Midtown—an appealing incentive for Time Inc., which faced declining sales in 2013. According to Bloomberg’s sources, potential new locations for Time Inc. include Brookfield Place, 4 World Trade Center and 85 Broad Street, the former headquarters of Goldman Sachs Group Inc. While Time Inc. is still in the earliest phases of its search, the move would expand a trend for the Lower Manhattan region, which has experienced an influx of media groups in recent years. “We are seeing a strange trading of spaces, where some finance firms have moved to Midtown while media firms that normally held fast to Midtown are relocating Downtown,” said Paul Glader, Professor of Composition and Journalism at The King's College. In 2011, Condé Nast, publisher of magazines including Vogue, GQ and The New Yorker, signed a lease in 1 World Trade Center, marking the largest relocation from Midtown to Lower Manhattan at the time, according to New York Daily News. "Condé Nast is a real game-changer," Port Authority Executive Director Chris Ward told the Daily News when the lease was signed. "Where it leads, other companies will follow." Ward’s predictions proved true as companies continued to flock to the neighborhood. According to a report from the Downtown Alliance, creative services accounted for 29 percent of relocations to Lower Manhattan between 2005 and 2013—more than any other group. Lower Manhattan now houses HarperCollins Publishers, New York Daily News, IB Times, tabloid publisher American Media, Inc. and many other media outlets. In a Feb. 4 memo to employees from Time Inc. CEO Joe Ripp, Ripp announced restructuring and looming layoffs. 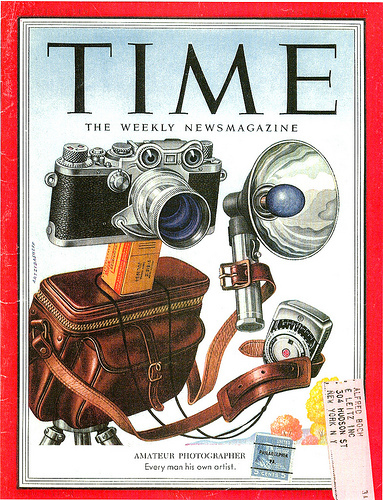 “We are creating the new Time Inc. whose best days are yet to come,” he said in his memo. While time will tell the truth of Ripp’s statement for Time Inc., trends suggest ongoing change for the evolving landscape of Lower Manhattan.